One of the longest running partnerships in Middle East motor sport has entered its 15th year with the approach of the "Abu Dhabi Desert Challenge" Powered by Nissan, which turns the focus of the cross country rallying world on the UAE capital again later this month. 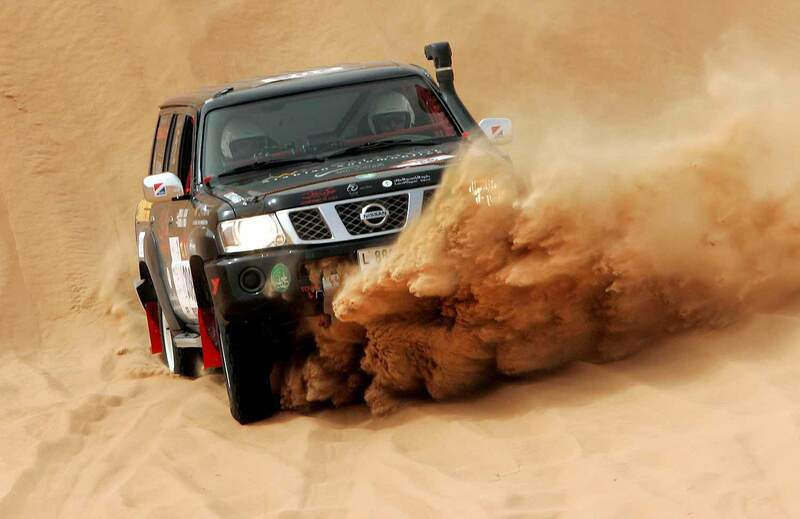 Title sponsors Nissan Middle East have joined forces again with the Automobile and Touring Club of the UAE (ATCUAE), the rally organisers, to present one of the most spectacular events on the World Cup stage. Taking place from 24-29 March under the patronage of H.H. Sheikh Hamdan bin Zayed Al Nahyan, the Ruler's Representative in Al Dafrah Region, the Desert Challenge is the third round of the FIA World Cup for Cross Country Rallies for cars and buggies. Kalyana Sivagnanam, President Nissan Middle East and Regional Vice-President Africa, Middle East & India Region, signed the new sponsorship agreement with Mohammed Ben Sulayem, President of the ATCUAE and Emirates Motor Sport Federation, and FIA Vice President for sport. 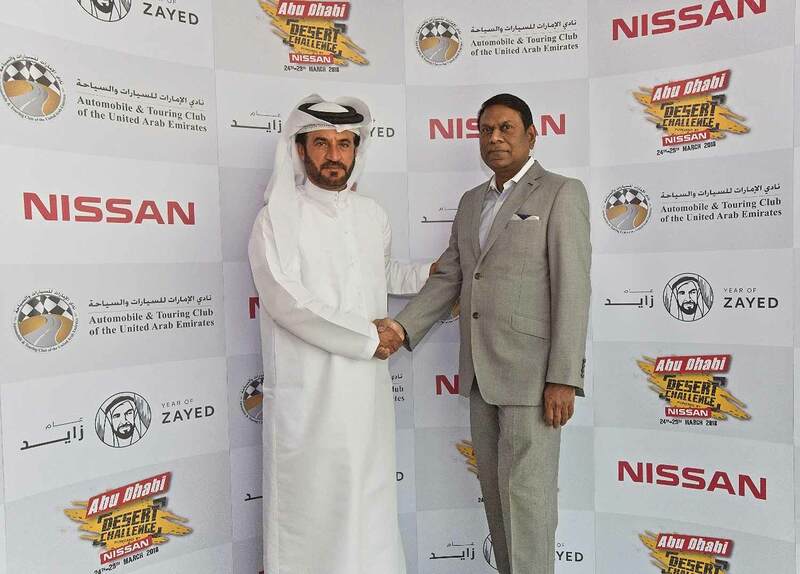 "Nissan, and the Nissan Patrol as the official car for the event, have become synonymous with the Desert Challenge over the years, and we are very happy to extend the very close working partnership we enjoy with the ATCUAE," said Sivagnanam. "We’re proud of the role we have played alongside the national motor sport authority in developing the event’s status and reputation on the international stage, in the process showcasing the appeal of Abu Dhabi and the deserts of the Al Dafrah Region." Sulayem, who founded the Desert Challenge in 1991, commented: "Long-running partnerships like the one we have with Nissan Middle East are so rare in rallying, and their consistent support has been vital to keep the event at the top in the World Cup series. We’re fortunate to have the support of a leading manufacturer which shares our enthusiasm for the sport, and like us is committed to making sure it’s future is secure." 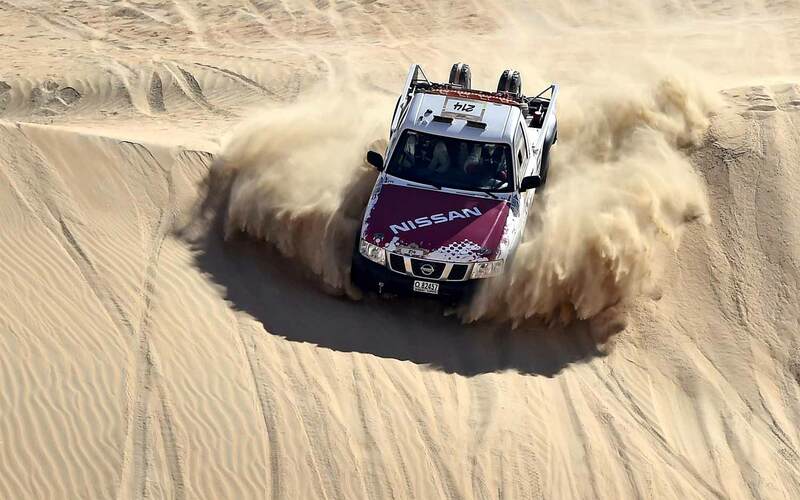 Nissan's sponsorship of the Desert Challenge guarantees wide-ranging support for the event, including the supply of a fleet of Nissan Patrols used by the ATCUAE’s route planning team to map out the competitive special stages that cut through the giant dunes of the Al Dafrah Region. The fleet will also be used throughout the event to transport rally officials, marshals, dignitaries and media representatives through the demanding desert terrain. Traditionally, the Nissan Special Stage provides the most challenging desert test of the rally, and this will be the case again on 26 March when the 287.92km section sends the cars, buggies, bikes and quads on a tantalising journey over the dunes and desert plains.